Convert any document you have to PDF or image file like JPEG or TIFF! 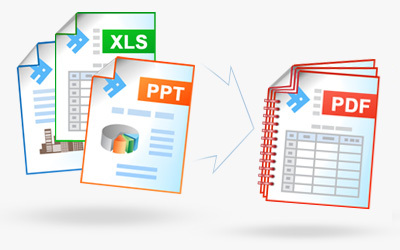 Take several different documents and combine them into a single multipage PDF, TIFF or DCX! 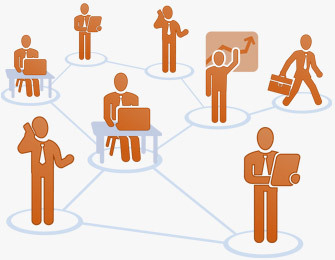 Convert your documents to PDF and protect them from unauthorized access! Universal Document Converter is an intuitive productivity solution that allows users to convert documents into PDF or image file formats for distribution. The application installs itself as a virtual printer on the user’s computer. 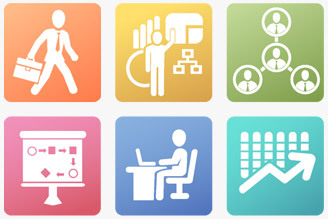 Once the file to be converted is opened, the user only needs to choose the “Universal Document Converter” printer and “print” the file for the conversion to successfully take place. 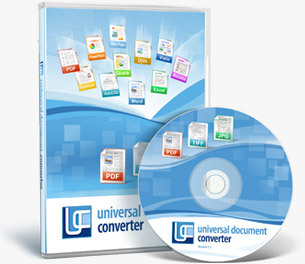 Universal Document Converter is capable of converting a document from its current format into one of eight different output formats, including popular options like PDF, JPEG, DCX, BMP, PCX, GIF and even high quality TIFF and PNG image files. The application employs an advanced algorithm for image quantization, which makes it possible to convert a file into your desired format while still retaining the highest possible quality in comparison to the original. As security is a high priority in today’s modern technological climate, it should come as no surprise that Universal Document Converter offers a number of different document protection methods for you to choose from depending on your needs. Copy-paste protection can be enabled at will, which will prevent the recipient from copying the text and pasting it into a different program on their computer for unauthorized distribution. Watermark compatibility is also offered, which extends content protection to hard copies of documents that may be printed in the future. Standard password protection is also available. Universal Document Converter allows me to turn either the whole document or parts of it into a picture, thus ensuring that the end result will not be distorted and will appear exactly as intended.